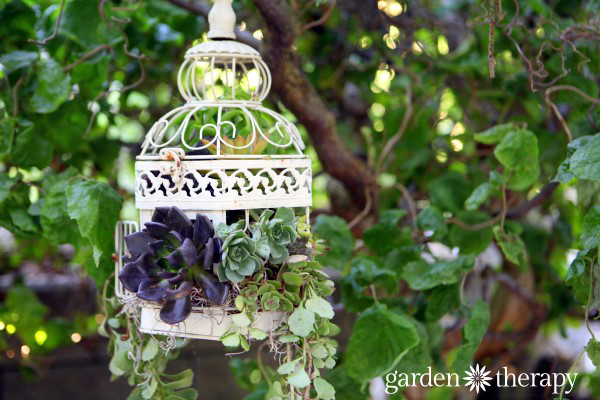 Turn a birdcage into a hanging basket planter with a few simple modifications and the addition of gorgeous plants. 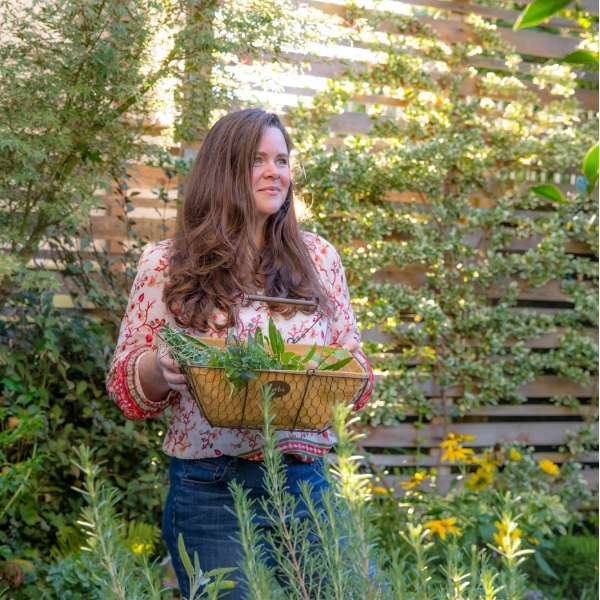 Succulents are perfect for a project like this because they are drought tolerant and have so much variety in their shapes, sizes, and growing habits. First look for a birdcage that opens from the top so that you have easy access to the inside of the cage. Some birdcages that simply have a small door on the front are beautiful and decorative but not functional to turn into a hanging planter. The base of the planter will be a coconut coir hanging basket liner. These come in many different sizes so look for one that fits the inside of your birdcage. 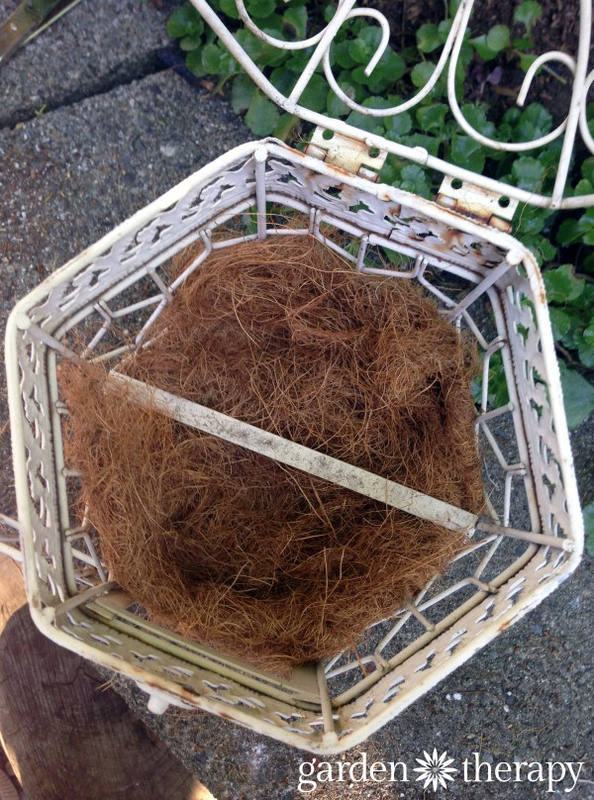 If it is a bit large then you can use scissors to trim it so it creates a solid nest on the inside of the cage. 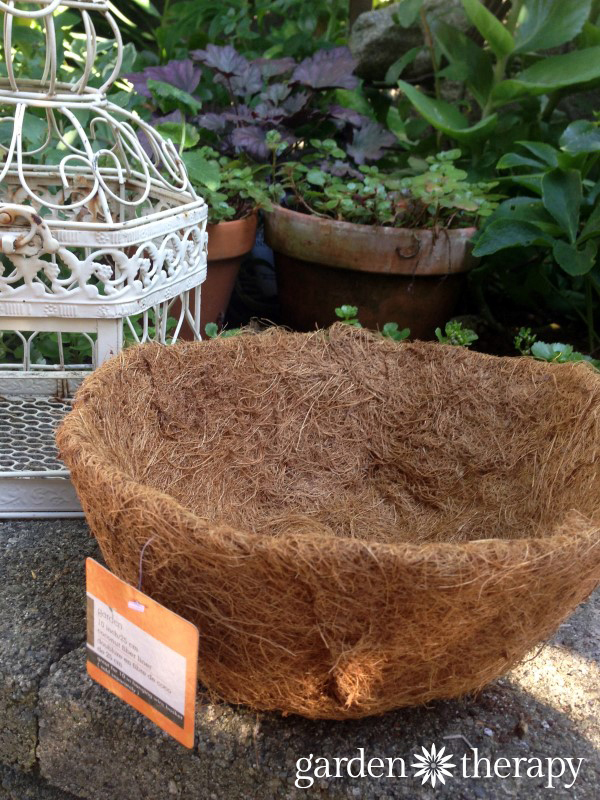 Once you have your nest of coconut coir, fill it with a layer of cactus and succulent soil, a soil blend specially formulated to ensure that it has the right drainage and properties for growing cacti and succulents. The thrillers are the beautiful Echeveria “Black Prince”* and Aeonium “Pinwheel”* and “Zwartkop”* that pop out of the door and sides of the birdcage. The filler plant is Crassula “Campfire”* that I set inside the basket. The spiller is Sedum spurium “Elizabeth” planted in the bottom of the cage draping down over the sides. This variety will turn a brilliant red when the weather gets colder. I added a few more decorative succulents in the center for additional color: Sedum “Coppertone”* added a bright pop of orange. I also added Sedum “Frosty Morn” and Echeveria “Painted Echeveria”* to fill in the space and hold the roots of the other succulents in place. 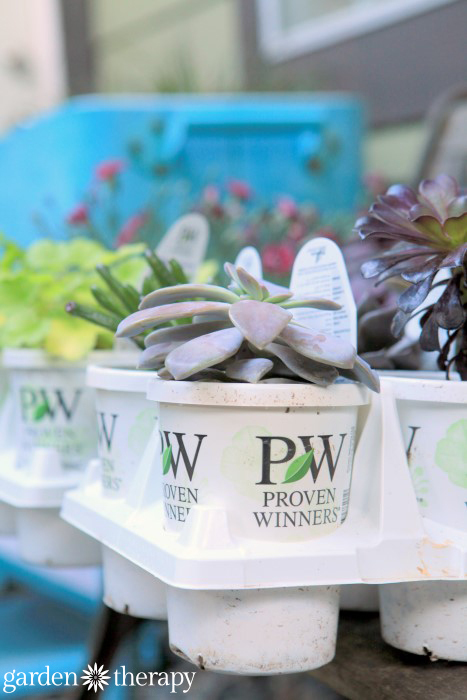 *A big thank you to Proven Winners for providing these plants for this project! 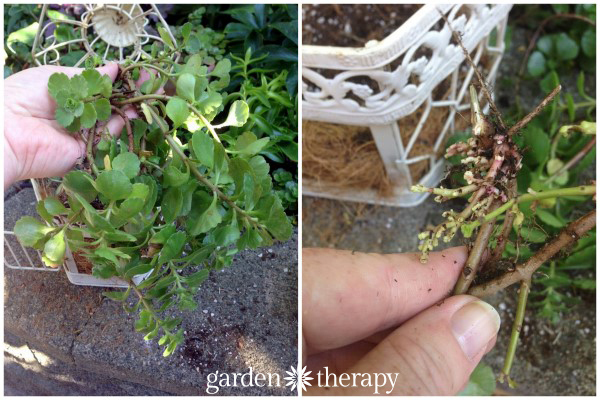 To make the planter, start by tucking the draping sedum roots in the soil and pulling the foliage through the cage’s holes. 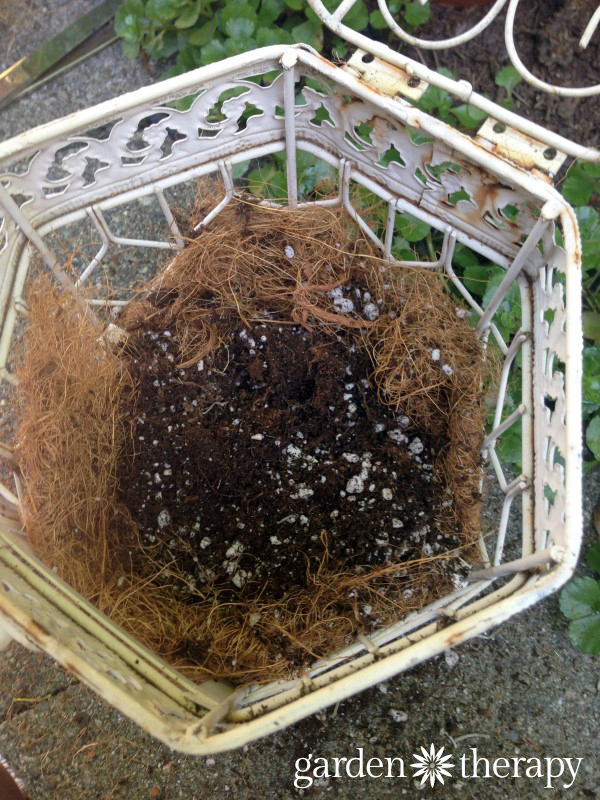 Next, add the filler in the center of the planter and place a bit more soil around it. 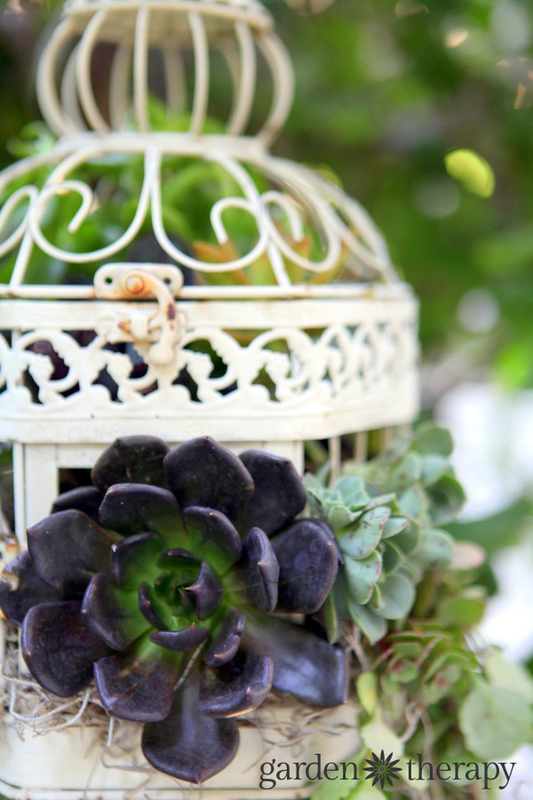 Plant the decorative thriller succulents through the door and the gaps in the sides of the birdcage. It’s a bit tricky to add them in, but you can use floral pins to hold them in place until they settle in. When your design is completed, give it a thorough watering to ensure that the roots adapt to their new home. After it is established, wait for the soil to become mostly dry, then water thoroughly by soaking the bottom of the birdcage into a few inches of water and allowing it to sit for one hour to absorb. Remove from the water and let drain for 30 minutes before hanging back up so that it doesn’t become too heavy for the branch it is suspended from. 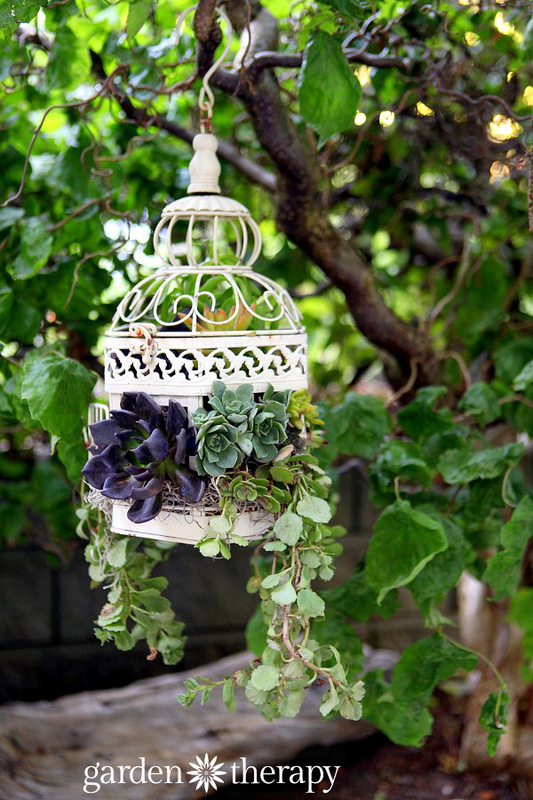 Love birdcages in the garden? 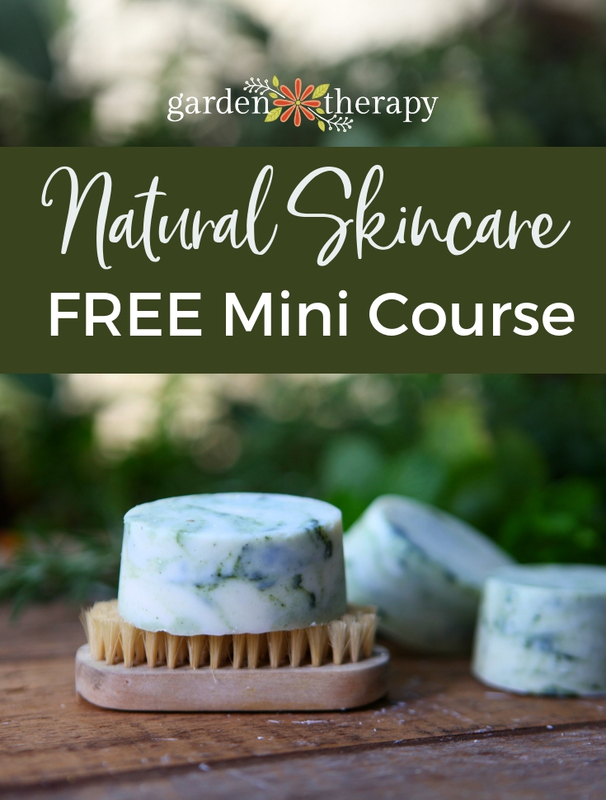 Here is another project for you! Where do you get your birdcage? I got it at a local garden center, but you can get them on Amazon – Rebecca’s link is the exact one! 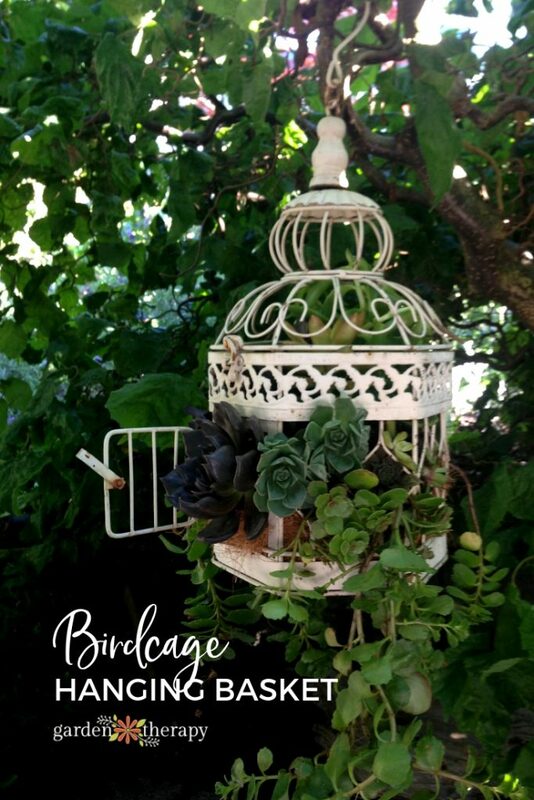 The succulent birdcage is suberb! Must make one of my own.